Sunday 3rd MARCH 2019 11-4pm Due to supplier demand”The Cheshire Wedding Show” will Now being held inside the CONCORDE Viewing Area, find us just off Junction 6 off the M56 Motorway. This fayre will showcase Superior cat walk Shows Featuring First class models and approximately 60+ supplier stands. The Cheshire Wedding Show returns on Sunday 3rd MARCH 2019 at CONCORDE Viewing Area Manchester Airport This show is what our visitors call ‘The Best One’ as we have over 60 exhibitors for you to view and consider for your special day, all inside the hanger and under cover. It’s free entry and No queuing when you pre-register for you and your guests. before 9pm Saturday 2nd MARCH 2019 otherwise its still FREE Entry on the day. Loads going on and lots for you to see; Catwalk shows, live entertainment, demonstrations, samples, Free goody bags for Brides on the day, refreshments available all day. 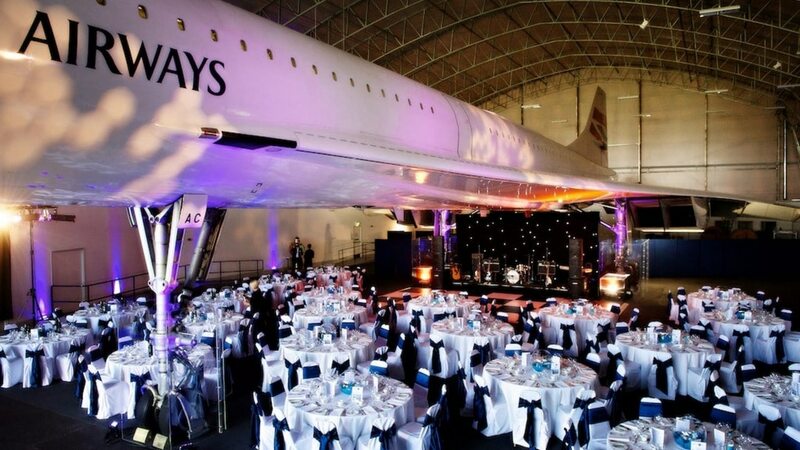 The CONCORD Viewing Area is a multi-purpose indoor area, which you can consider using for your wedding day, and is located at Manchester Airport which provides easy access and large amounts of parking for all our visitors. This show is organised by “Little White Books” Wedding Magazine.